1. 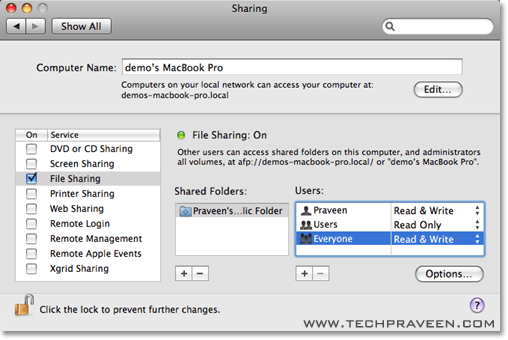 In your Mac goto System Preferences, navigate to Sharing. Turn on File Sharing. 2. Now Change “Everyone” users to “Read & Write”. 3. 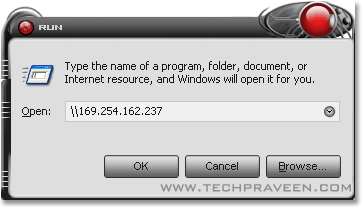 After that click on Options button and choose “Share files and Folders using SMB”. Turn on the account you wish to share information. Enter your password when prompted. Click Done. 6. A new Windows Explorer will pop up with the Public folders of your Mac. You can simply copy/paste files, folders and documents in those shared folders. Thank you. I tried several other sollutions, nothing worked. This worked like a charm!